3dB Labs, Inc., providing design, implementation, and delivery of solutions in the areas of signal processing and software development, announced it leased a 1,660 sq.ft. office at 9050 Centre Pointe Drive in Duke Realty’s Centre Pointe Office Park (Union Centre District). Advanced Urogynecology and Pelvic Surgery, Inc.
Advanced Urogynecology and Pelvic Surgery, Inc., announced it will relocate its existing West Chester business to a 7,941 square foot medical office at 7759 University Drive in the University Pointe medical campus. Advanced Urogynecology and Pelvic Surgery will open in September at its new location with 15 employees. Aero Fulfillment, providing bulk mail distribution services, announced it will relocate its production operations to a 144,900 square foot facility at 9287 Meridian Way in Duke Realty’s World Park at Union Centre. 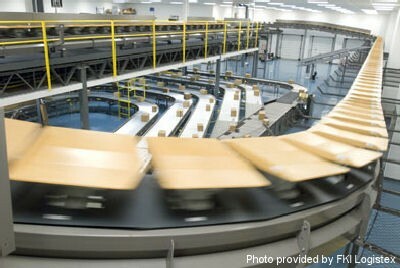 Aero Fulfillment will open its West Chester location mid-June 2007 with approximately 45 employees. 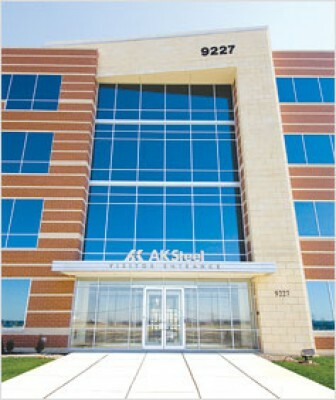 AFLAC Insurance, a national insurance company providing individuals and businesses with voluntary insurance products and services, announced it will open a 2,947 square foot office and training facility at 8744 Union Centre Boulevard in North Ridge Realty Group’s Lakota Professional Building. 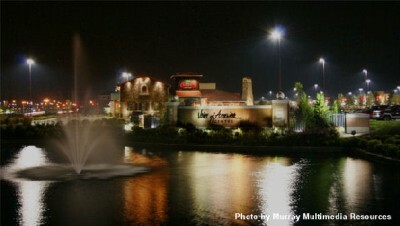 AFLAC is slated to open August 2007 with three employees. 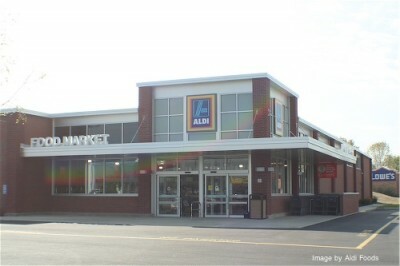 national retail grocery chain, is now open at 7910 Tylersville Square Drive west of I-75. Anixter, worldwide distributor of communication products, electrical, wire, cable and fasteners, announced it will relocate its existing West Chester business to a 60,000 square foot facility at 4440 Muhlhauser Road in the North Park Business Center. Anixter will open August 2007 with 30 employees. is now open at 8382 Cincinnati-Dayton Road in the Highlands development (anchored by Wal-Mart Supercenter) by Neyer Properties west of Interstate 75. 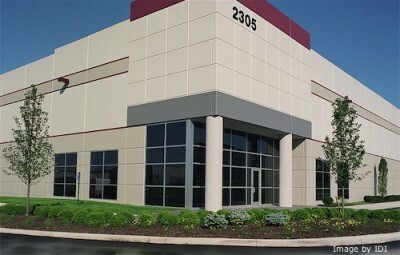 Armor Holdings, Inc., a leading manufacturer and provider of specialized security products, announced it will expand its existing West Chester and Fairfield vehicle armoring operations and divisional headquarters into one 470,000 square foot mega manufacturing and office facility in West Chester Township. A 300,000 square foot ancillary facility is also being leased in West Chester for manufacturing, logistic and packaging operations. Armor employs over 700 and plans to create 300 new permanent jobs as a result of this $75.6M project. Aromatic, Inc., a Swedish company specializing in the development, production and marketing of functional ingredients for modern baking all over the world, announced it will relocate its U.S. division to a 1,000 square foot office facility at 9100 Centre Pointe Drive in Duke Realty’s Centre Pointe Office Park (Union Centre district). Aromatic will open its offices November 1st, 2007.
a distributor of retail wire displays, relocated to a 15,038 square foot facility at 5420 Duff Drive off Princeton-Glendale Road/SR747. Arthur Williams Industries has 18 employees. is now open at 7578 Cox Lane in the University Pointe campus north of Tylersville Road. BAE Systems (formerly Armor Holdings), announced it will consolidate multiple Butler County office, warehouse and production facilities into a new 345,000 square foot building in Industrial Development International’s (IDI) Port Union at Union Centre business park off Union Centre Boulevard. 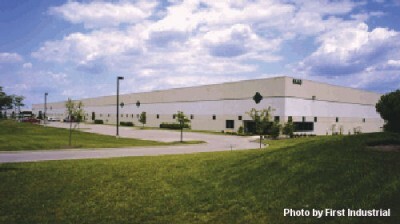 BAE expects to occupy the new facility in April 2008.
a plastic bag manufacturer, relocated and expanded its operations to a 46,866 square foot facility at 9486 Sutton Place west of Princeton-Glendale Road/SR747. Bag Pack has 35 employees. Barrington of West Chester, offering senior independent and assisted living facilities, announced a new four-story, 137,000 square foot facility at 7222 Heritagespring Drive. The facility will feature one and two bedroom senior living apartments with independent living cottages scheduled to be built in 2008. Barrington of West Chester is slated for completion Winter 2007 with numerous amenities and activities for active seniors. specializing in personal care products, will open a 3,285 square foot facility at 7608 Voice of America Centre Drive in the VOA Centre at Cox and Tylersville Roads. BESI, Inc., a national manufacturer of OEM seat covers and other transportation safety products, announced it will open an 11,743 square foot facility at 9087 Sutton Place off Princeton-Glendale Road/SR747. This will be BESI’s second West Chester location with their corporate headquarters also located on Sutton Place. BESI has 25 employees. 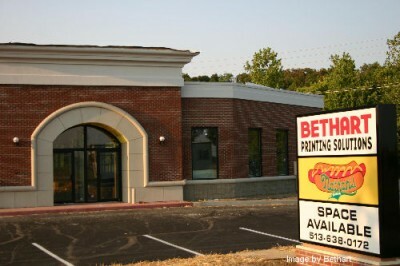 Bethart Printing, a full-service print and design house, announced it will relocate its existing West Chester business to a 2,896 square foot facility at 8548 Lakota Drive West at Union Centre Boulevard. 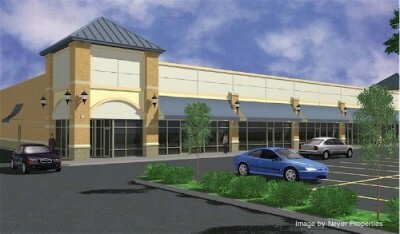 Bethart is slated to open early October 2007 in this new 6,000 square foot retail center. Bricker & Eckler LLP, one of Ohio’s leading law firms, announced it will relocate its existing West Chester office to a 10,600 square foot Class A space in Duke Realty’s new Centre Pointe Office Park Building VI. Bricker & Eckler is slated to be in its new location April 1st, 2008. A new $400M bioscience project was announced. Bristol-Myers Squibb (formerly Amylin) will expand its West Chester manufacturing facility while the first phase is still under development. At full operations, the company will employ more than 550. Bristol-Myers SquibbAmylin plans to invest $400M in the massive project. The campus is located in the Port Union Business Park southwest of Union Centre Boulevard. 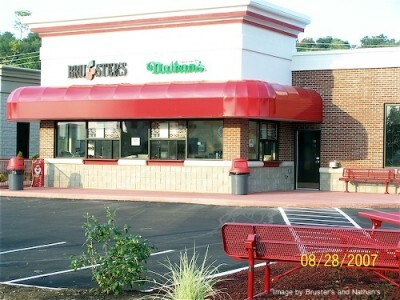 Bruster’s Real Ice Cream/Nathan’s Famous Hot Dogs announced it will open a 1,500 square foot facility in the new 6,000 square foot retail center being constructed at 8548 Lakota Drive West at Union Centre Boulevard. Bruster’s specializes in making their own ice creams, cakes, pies and cones in their stores. Nathan’s is internationally known for their famous 100% beef hot dogs and old fashioned lemonade. These facilities will offer window and drive-thru service only. a business and information technology services provider, opened a new office at 8354 Princeton-Glendale Road/SR 747 in the Beckett Towne Center development north of Union Centre Boulevard. a family-oriented learning center, announced it will expand its existing West Chester business to a 1,540 square foot training facility at 8104 Beckett Center Drive in CMC Beckett Office Park. a global provider of business and consumer car rental services, announced a new 1,400 square foot facility at 7334 Tyler’s Corner Drive in Tylersville Station west of I-75. a full-service certified public accounting firm, opened a new 1,792 square foot facility at 8366 Princeton-Glendale Road/SR 747 in the Beckett Towne Center development north of Union Centre Boulevard. 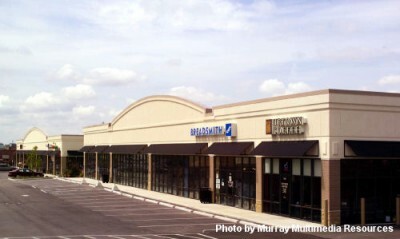 opened an office at 8354 Princeton-Glendale Road/SR747 in Beckett Towne Center north of Union Centre Boulevard. offering financial planning and tax preparation services, opened a new office at 8354 Princeton-Glendale Road/SR 747 in the Beckett Towne Center development north of Union Centre Boulevard. social adult day care and respite service, is opening a 2,000 square foot facility at 8992 Cincinnati-Dayton Road in Olde West Chester. Care For You 2 is slated to open Summer 2007.
full-service flooring specialists, opened a new 2,820 square foot facility at 7598 Cox Lane in the University Pointe campus off Cox Road. a full service real estate company, announced it will relocate its existing West Chester office in February to a 4,843 square foot facility at 9069 Cincinnati-Dayton Road at West Chester Road. 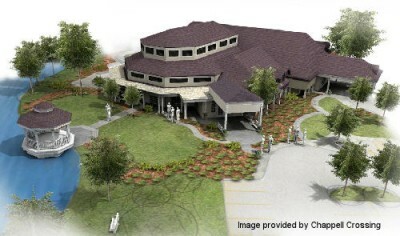 assisted and independent living facility, announced a $9.4 million, 72,422 sq.ft. expansion to its existing facility at 8073 Tylersville Road. Chesterwood Village will break ground on these 50 new units March 2007 with completion planned Spring 2008.
the Greater Cincinnati area youth hockey organization sanctioned by USA Hockey, announced it will open an office at 8050 Beckett Center Drive in the CMC Beckett Office Center (Beckett Ridge District). 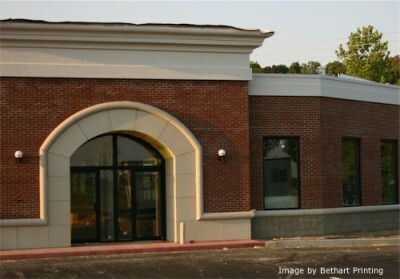 specializing in computer services and repairs, opened a new office at 8354 Princeton-Glendale Road/SR 747 in the Beckett Towne Center development north of Union Centre Boulevard. a full-service insurance firm, announced it will open a second West Chester office at 8548 Lakota Drive West (at Union Centre Boulevard). The 1,246 square foot facility is slated to open January 2008 with 5 employees. providing mobile wireless services, announced it will open a new 1,920 square foot facility at 9615 Cincinnati-Columbus Road/SR42. a full-service real estate development and design/build construction firm, announced a new 3,800 square foot office at 5213 Muhlhauser Road in The Pointe at Union Centre. a full-service real estate development and design/build construction firm, announced a new 28,000 square feet office/warehouse facility on Port Union Rialto Road. The building is slated for completion late 2007. 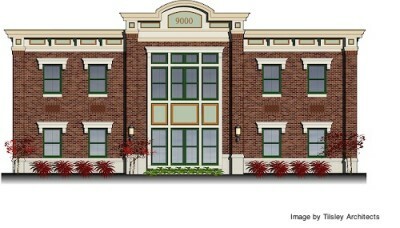 DB Solutions is now pre-leasing. providing shipping, receiving and fulfillment services, relocated to a 7,400 square foot facility at 6031 Schumacher Park Drive in Schumacher Commerce Park. neighborhood convenience store, announced it will open a 9,150 sq.ft. foot store at 10152 Princeton-Glendale Road/State Route 747 in the Tri-County Business Center. 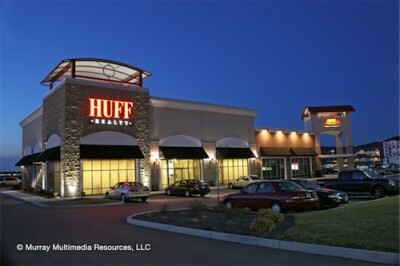 Pointe Drive in Neyer Properties’ Highlands Market Square off Cincinnati-Dayton Road at Interstate 75. Double Decker Café is slated to open in January 2008 with 20 employees. who specialize solely in the machine direction orientation of polymer films, have opened a 26,000 square-foot production facility at 4434 Muhlhauser Road in North Park Business Center. 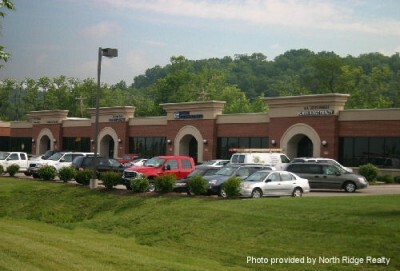 financial advisors, will open an office at 8859 Cincinnati-Dayton Road in the Olde West Chester district. baked goods distributor, announced a 1,125 sq.ft. office expansion to its existing 15,000 sq.ft. distribution facility at 9933 Cincinnati-Dayton Road in Schumacher Commerce Park. Entenmann’s has 18 employees. EnterTRAINment Junction, a $10 million dollar indoor model train center, announced it will open at 7379 Squire Court at Tylersville Road and I-75 (in the former Oak and More Furniture building). A 25,000 square foot model train layout along with a museum, hobby shop and meeting rooms will occupy this 80,000 square foot building. office and print center, announced it will open a new 1,908 square foot facility at 7785 Cox Lane in the new 13,769 square foot Dudley Retail Center off Tylersville Road. This will be FedEx/Kinko’s second West Chester location. 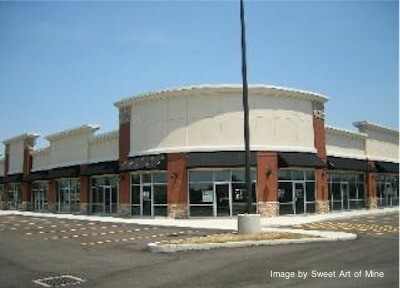 Fitworks, full-service fitness and lifestyle center, announced it will relocate its existing West Chester business to a 59,000 square feet building at 7060 Ridgetop Drive in the Highlands development (anchored by Wal-Mart Super Center) at Cincinnati-Dayton Road and I-75. Fitworks is slated to open late 2007. FKI Logistex, a global provider of automated material handling systems and equipment, celebrated the grand opening of its new $5 million dollar, 31,000 square foot Technology and Education Center. 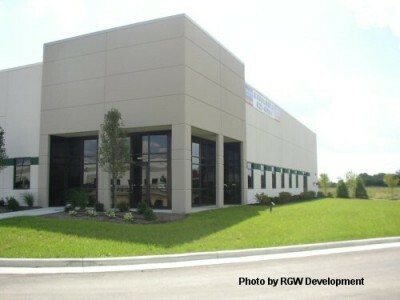 The state-of-the-art, technology-rich material handling environment is located at 10045 International Boulevard in World Park off Muhlhauser Road. The company supplies its customers with an integrated set of leading-edge technologies in high-speed sortation, conveyor systems, robotic, RFID implementation and more. FKI Logistex has 400 employees at its West Chester facility and will add 12 new positions. 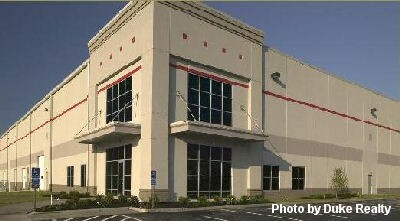 leased a 7,500 square foot facility at 9486 Sutton Place west of Princeton-Glendale Road/SR747. Foto-Loco, providing a wide range of photographic products and services, announced it will open a 1,178 square foot studio at 8647 Cincinnati-Columbus Road/SR42. manufacturer and marketer of information control systems, substations, factory automation system components, electronic devices and vending machines, announced it will relocate to 4,000 sq.ft. in an office/warehouse facility at 5207 Muhlhauser Road. announced it will open a 5,250 square foot office/warehouse facility at 9850 Princeton-Glendale Road/SR747. is now open at 9282 Allen Road (Union Centre District). Grays Country Cooking, a family-owned and operated restaurant and catering service, announced it will open a 1,400 square foot restaurant at 8095 Beckett Center Drive in the Beckett Commons shopping center (Beckett Ridge District). Grays Country Cooking will open August 2007.
hair salon, announced it will open a 1,237 sq.ft. facility at 8211 Highland Pointe Drive in Neyer Properties’ Highlands development (anchored by Super Wal-Mart) at Cincinnati-Dayton Road and I-75. 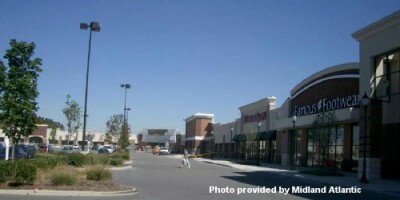 a temporary retail store specializing in Halloween costumes, masks, makeup, party supplies and decorations, announced it will open September 2007 at 7755 Tylers Place Boulevard in the Plaza at Wetherington. Henkel Corporation, specializing in home care, personal care, adhesives, sealants and surface treatments, announced it will relocate its sales office to a 3,500 square foot facility at 6037 Schumacher Park Drive in Schumacher Commerce Park. Henkel has 9 employees and is slated to open early February 2007. 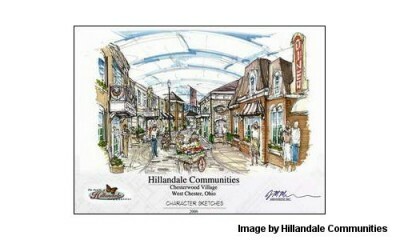 Highlands Square II, a new 15,900 square foot retail plaza was announced by Neyer Properties. The building will be located at 8218 Highland Pointe Drive in the Highlands Market Square development (anchored by Wal-Mart Super Center) just west of I-75. Neyer Properties is now pre-leasing. specializing in electrical construction services, opened a 3,200 square foot facility at 4816 Interstate Drive off Princeton-Glendale Road/SR747. 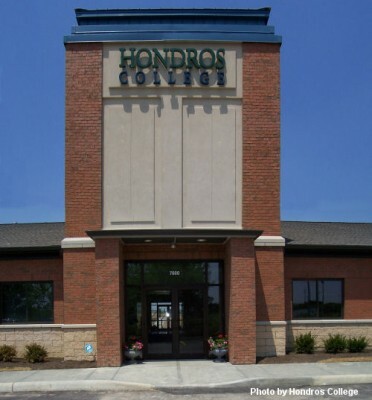 a fully accredited Ohio-based School of Nursing, opened an 8,085 square foot educational facility at 7600 Tyler’s Place Boulevard off Tylersville Road west of I-75. Phase II will include an adjacent 8,000 square foot facility. Horan Associates, a full-service insurance and financial services firm, announced it will expand its organization and open a 2,016 square feet office at 8756 Union Centre Boulevard in Lakota Professional Building. Horan Associates is slated to open early January 2008 with 5 employees. providing cleaning products, supplies, equipment and janitorial services, announced it relocated to a 15,075 square foot facility at 5452 Spellmire Drive off Princeton-Glendale Road/SR747. HP Products has 20 employees. a Cincinnati-based manufacturer of health and beauty products, announced a 54,000 square foot expansion to its existing 351,000 square foot facility at 8788 LeSaint Drive in Industrial Development International's Port Union at Union Centre. is now open at 4741 Tylersville Road and Princeton-Glendale/SR747. Japanese manufacturer of state-of-the-art, high-technology products, announced it will open a sales office at 8050 Beckett Center Drive in CMC Beckett Office Center (Beckett Ridge District). LA Fitness, a full-service fitness center providing a wide range of amenities, announced a 45,000 square foot fitness facility will be constructed on the former Dudley Farm property off of Tylersville Road east of I-75. LA Fitness will anchor this development with an additional 30,000 square feet of retail space to be built. 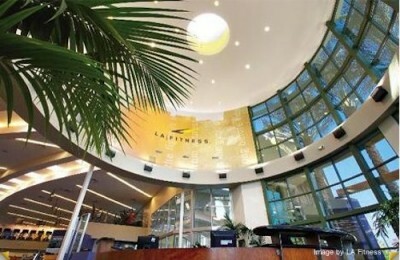 LA Fitness is slated to open late December 2008.
provider of commercial flooring products and services, announced it will relocate to a 21,037 square foot facility at 4475 Muhlhauser Road in North Park Business Center. Legacy Flooring is slated to open early December 2007 with 55 employees. LeSourdsville-West Chester Elementary, a new 90,000 square foot elementary school in the Lakota School District, is being constructed at 7672 LeSourdsville-West Chester Road at Tylersville Road. This facility will replace the existing Union Elementary building and is slated to open August 2008.
is now open at 7975 Tylersville Square Road west of Interstate 75.
a Swedish company supplying metal forming/spinning machinery, announced it will open an office at 8050 Beckett Center Drive in the CMC Beckett Office Center (Beckett Ridge District). a full-service, upscale salon and day spa, announced it will open a 4,261 square foot facility at 7639 Voice of America Centre Drive in the VOA Shopping Centre at Cox and Tylersville Roads. The Mandarine is slated to open October 2007. SI, providing sensors and instruments for atmosphere and combustion control, opened an 11,050 sq.ft. office and manufacturing facility in the Union Centre District at 8904 Beckett Road in D.A. Development’s West Chester Commerce Center. specializing in skin care and cosmetics, opened an office at 8354 Princeton-Glendale Road/SR747 in Beckett Towne Center. 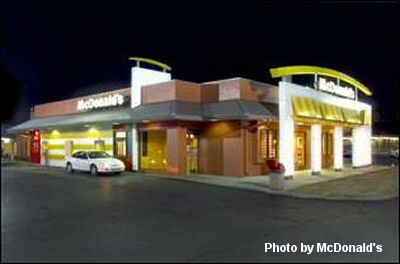 McDonald’s Corporation, global foodservice retailer, announced a new 4,491 sq.ft. 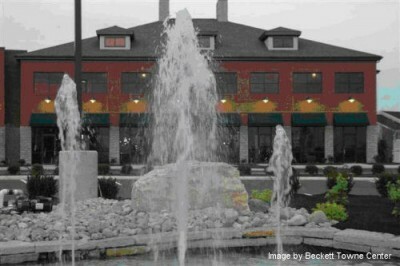 restaurant at 9160 Allen Road at Union Centre Boulevard in the West Chester Towne Centre development. McDonald’s will rollout its newest building design concept with this West Chester facility. Merkur Group, providing document process automation solutions, announced it will relocate its existing West Chester corporate headquarters to a new 4,170 square foot office facility at 8624 Jacquemin Drive in Schumacher Dugan Construction's Union Centre OfficePlex. specializing in upscale lingerie and sleepwear, announced it will open a 1,005 square foot store at 6212 Muhlhauser Road in the Huff Centre (Union Centre district). Mia Del is slated to open mid-to-late January 2008. Miami University unveiled plans for a learning center in West Chester offering graduate and undergraduate programs together with workforce development and a specialized Business & Industry Center. The Voice of America Learning Center was developed on a 20-acre site at 7847 VOA Park Drive off Cox Road north of Tylersville Road (Uptown). The first phase of the Voice of America Learning Center is a 23,000 square-foot facility with capacity for more than 80 courses weekly. 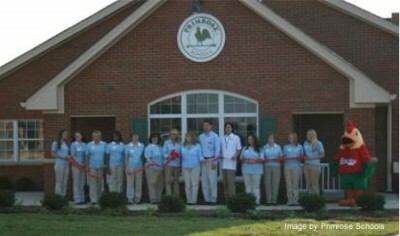 The VOA learning center opened January 2009.
a full service management company specializing in multi-family housing, opened a new office at 8354 Princeton-Glendale Road/SR 747 in the Beckett Towne Center development north of Union Centre Boulevard. a diverse paper manufacturer, announced it will expand and relocate its existing West Chester business to a 23,866 square feet facility at 5450 Spellmire Drive in World Park. Millcraft is slated to open mid-January 2008. A Thai and Sushi Asian bistro will open a 3,180 square foot restaurant at 7334 Tyler's Corner Drive in Tylersville Station west of I-75. MISO is slated to open August 2008. Modlich Stoneworks, specializing in the fabrication and installation of granite countertops for residential and commercial uses, announced it will relocate its existing West Chester business to a 4,000 square foot facility at 5231 Muhlhauser Road in The Pointe at Union Centre. Modlich is slated to open July 2007.
running specialty store, opened a new facility at 9318 Union Centre Boulevard at the U.S. Bank building in the Union Centre/Downtown District. a quick-casual global noodle restaurant specializing in Asian, Mediterranean and American cuisine, announced a new facility at 7791 Cox Lane in the new Dudley Retail Center off Tylersville Road. Noodle & Company is slated to open September 2007.
specializing in bookkeeping services including QuickBooks point of sale installation, support, and training, opened a new office at 8366 Princeton-Glendale Road/SR 747 in the Beckett Towne Center development north of Union Centre Boulevard. manufacturer and installer of sunrooms, solariums and conservatories, relocated to a 12,500 square foot facility at 9850 Princeton-Glendale Road/SR747 at Duff Drive. Patio Enclosures is slated to open in June 2007 with 15 employees. Peak 10, Inc., an independent data center operator and managed services provider, announced it will open a new 22,000 square foot, state-of-the-art data center facility at 5307 Muhlhauser Road in The Pointe at Union Centre. The Class A office and warehouse facility will house the around-the-clock data center, which will supply support services to high-growth, small-to-midsize businesses in the Greater Cincinnati and Dayton region. 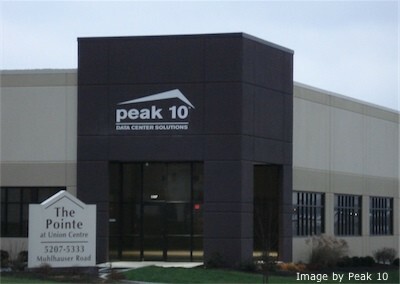 Peak 10 will employ ten people initially and expects to grow to a staff of 18.
information technology consulting firm, announced it will relocate to a 4,870 square foot office facility at 7590 Tyler’s Place Boulevard off Tylersville Road west of I-75.. Perficient is scheduled to open mid-summer 2007 with over 20 employees. an Italian company specializing in the production of mechanical extractors, leased an 8,000 square foot warehouse/distribution facility at 5237 Muhlhauser Road in The Pointe at Union Centre. specializing in a variety of high energy smoothie drinks, announced it will open a 1,200 square foot facility at 7578 Cox Lane in Dudley Retail Center at Tylersville Road. specializing in portable on-demand storage solutions, opened a 47,250 square foot facility at 4438 Muhlhauser Road in North Park Business Center. PODS has 4 employees. Port Union at Union Centre/Building H, a new 345,600 square foot building was announced by Industrial Developments International (IDI) on LeSaint Drive in the 192-acre Port Union at Union Centre business park development. 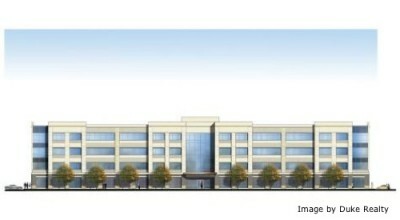 IDI is pre-leasing now and the building is slated for completion late 2007. IDI is a full-service real estate developer providing strategically located properties throughout the U.S. for distribution, warehouse and manufacturing. specializing in child care and early education, is now open at 8378 Princeton-Glendale Road/SR747 in Beckett Towne Center north of Union Centre Boulevard. 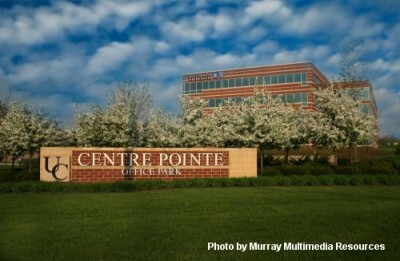 a national distributor of medical supplies and equipment to office-based physicians and long-term health care providers, announced it will open a 4,000 square foot office at 5209 Muhlhauser Road in The Pointe at Union Centre. designs, develops and manufactures high performance aeronautical telemetry systems, relocated its existing West Chester business to a 29,860 square foot building at 5493 Union Centre Drive in World Park at Union Centre. Quasonix has 6 employees. outlet store specializing in motorcycle apparel, accessories, and service along with musical instrument sales and service, announced it will open a 7,417 retail facility at 9283 Cincinnati-Columbus Road/SR42 in early February 2007.
announced a new 83,774 square foot hotel at 6240 Muhlhauser Road in the West Chester Towne Centre (Union Centre District). The five-story Residence Inn will feature an outdoor guest sports area. RGW Development, specializing in property management and leasing services serving both corporate and residential client’s real estate needs, relocated its existing West Chester business to a 1,200 square foot facility at 5211 Muhlhauser Road in The Pointe at Union Centre. Rialto Crossing, a new office condominium development, announced it will feature six 5,336 square foot office buildings located on five acres at Rialto Crossing Road on the corner of Princeton-Glendale Road/SR747 and Rialto Road. Robert Lucke Interests is the general contractor for this project. Rialto Crossing’s first building is scheduled to open December 2007.
a branch-supported online stock brokerage, announced it will open a 1,400 square foot office at 9322 Union Centre Boulevard in the US Bank Centre. The office is slated to open mid-April 2007. Boulevard in The Streets of West Chester (Union Centre district). 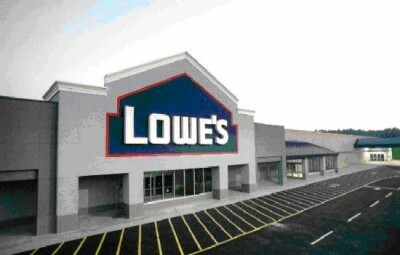 Sherwin-Williams Company, a national organization engaged in the manufacture, distribution and sales of paint products for commercial and residential applications, announced a new 3,867 square foot facility at 8215 Highland Pointe Drive in the Highlands retail development at Cincinnati-Dayton Road and I-75. featuring fresh blended fruit drinks, announced it will open a 1,376 square foot facility at 9320 Union Centre Boulevard in the US Bank Centre building located in the West Chester Towne Centre. South Pointe at Union Centre, a 31-acre, mixed-use development announced by Duke Realty and Scott Street Partners. The development, located south of The Streets of West Chester on Civic Centre Boulevard, will include two 150,000 square foot Class A office buildings, a hotel and upscale restaurants and retailers. This $50M project is expected to bring 1,200 jobs to the Union Centre district. Southwest Ohio Baseball Academy & Training, a new 31,200 square foot sports facility featuring a major-league sized clear span infield, 5 pitching lanes, 9 hitting cages and professional instruction provided by Brian Conley, Mo Sanford and more. The training center, located at 9252 Port Union-Rialto Road west of the Union Centre district, is scheduled to open December 2007.
featuring specialty coffees, announced a new 1,860 square foot coffee shop at 7781 Cox Lane in the Tylersville Corner retail center (Voice of America Centre district). full-service hair salon, relocated its existing West Chester business to a 1,250 square foot facility at 8117 Cincinnati-Dayton Road in the Fountains Center west of I-75. 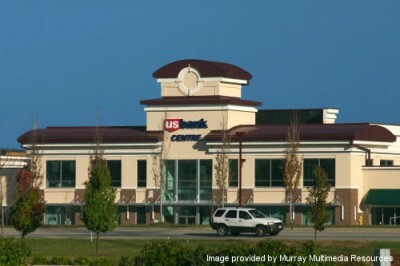 an independent community bank, announced it will open a commercial lending office on Union Centre Boulevard in Chappell Crossing (Wellington building). specializing in fine art, handmade jewelry and gifts, announced a new 1,400 square foot facility at 7334 Tyler’s Corner Drive in Tylersville Station west of I-75. Sweet Art of Mine is slated to open early November 2007.
a gourmet coffee house, will open a 2,111 square foot cafe at 9220 Allen Road (Union Centre district). Tazza Mia will share a facility with Busken Bakery and is slated to open early 2008.
featuring authentic Thai-Chinese cuisine, announced it will open a 1,688 square foot restaurant at 6892 Tylersville Road. and includes a glass solarium, gazebo overlooking a 4-acre lake, stately boardrooms, grand ballrooms, butler service and an on-site chef. The $10 million dollar Savannah Center is slated to open December 2007.
offering a full line of scaffolding products and services, announced it relocated to a 21,555 square foot facility at 9536 Glades Drive west of Princeton-Glendale Road/SR747. ThyssenKrupp has 7 employees. Time Warner Telecom, provider of managed internet services and voice/data networking solutions for businesses, announced it will open a 7,903 square foot office at 8630 Jacquemin Drive in Schumacher Dugan Construction's Union Centre OfficePlex. This will be Time Warner's 2nd West Chester location. The office is slated to open mid-February with 38 employees. 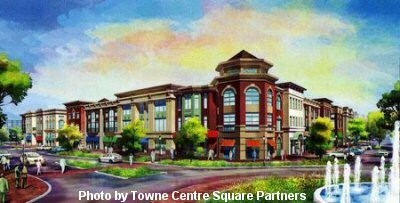 Towne Centre Square at Union Centre is a new $16 million office-retail project announced by Towne Centre Square Partners for West Chester’s central business district. 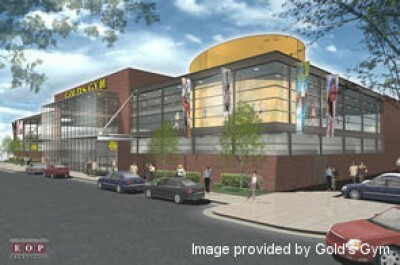 Construction will begin spring 2007 on the first phase, a three-story, 75,000 sq.ft. 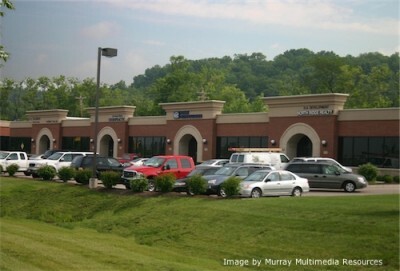 office/retail building on five acres in the Union Centre District (Centre Pointe and Towne Centre Drives in West Chester Towne Centre). Restaurants and retailers will occupy the first floor with professional offices on second and third floors. Additional buildings are planned. providing full-service travel management services, announced it will relocate to a 1,400 square foot facility at 7606 Cox Road in the Marketplace at University Pointe. Travel Authority is slated to open late June 2007.
specializing in gourmet wraps, specialty sandwiches and a variety of tropical smoothie beverages, announced it will open a 1,477 square foot facility at 7688 Voice of America Centre Drive in the VOA Centre at Cox and Tylersville Roads. a nine building office park being developed by Tylers Place Construction and Daniels Homes, announced a new 20,350 square foot office building at 7592 Tyler’s Place Boulevard west of I-75 in the Wetherington district. specializing in a multi-disciplinary approach to treating and educating pain, announced it will relocate its existing West Chester business to a 5,748 square foot facility at 7759 University Drive in the University Pointe Medical Campus off Cox Road. freight service, announced an 18,877 sq.ft. expansion to its existing truck terminal at 9970 Farr Court off Duff Drive (east of Princeton-Glendale Road/SR747). ValueCare Pharmacy, pharmacy provider for long-term care facilities, announced it will open an 8,000 sq.ft. facility at 9820 Windisch Road. The facility is located in the Union Commerce Center developed by RGW Development off Allen Road . ValueCare Pharmacy is slated to open mid-April 2007 and will have approximately 20 employees. Verizon, delivering broadband and other wireless communication innovations to mass market, business, government and residential customers, announced it will open a 4,445 square foot facility on Cox Lane in the new Dudley Retail Center off Tylersville Road. Verizon is slated to open Fall 2007. Verizon Wireless, national wireless network voice and data provider, announced a new 73,645 square foot switch center to be constructed on 10 acres at 5400 Duff Drive in World Park. 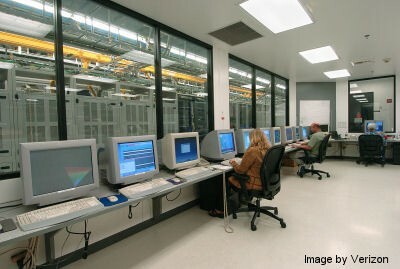 The facility will house offices, computers and equipment used to support Verizon’s wireless network. The center is slated for completion Spring 2008 and will house approximately 100 employees. Verso Paper, specializing in coated papers and servicing customers in the catalog, magazine and commercial print markets, announced it will relocate to a 14,100 sq.ft. office at 9025 Centre Pointe Drive in Duke Realty’s Centre Pointe Office Park (Union Centre District). Verso Paper plans to open its new sales office early April 2007 with approximately 50 employees. Warren Alloy Valve & Fitting Company, regional sales and distribution of industrial valves, fittings, flanges and pipes, announced the opening of its new 34,700 square foot Midwest branch at 9920 Princeton-Glendale Road/SR747 at Duff Drive in the NorthStar center. Warren Alloy has 6 employees. piano studio, announced it will open at 1,734 sq.ft. music academy at 8374 Princeton-Glendale Road/SR747 in Beckett Towne Center north of Union Centre Boulevard. The studio is slated to open mid to late May 2007. West Chester Family Dentistry, a full-service family dental practice, announced it will relocate its existing West Chester business to a new 6,340 square foot building at 9000 Cincinnati-Dayton Road in Olde West Chester. Dr. Phuoc Tran and his staff will occupy the second floor of their new building in the Spring of 2008. An additional 3,000 square feet will be available for lease on the first floor. 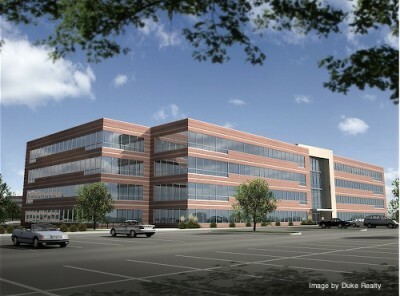 West Chester Medical Office Building, a new 108,640 square foot medical office building, was announced by Miller-Valentine Group. Construction has begun on the four-story building located at 7626 University Court in University Pointe medical campus off Cox Road (Voice of America district). The medical building design incorporates many of the design features of West Chester Medical Center, the new 160-bed, full-service hospital being constructed on the 75-acre campus. 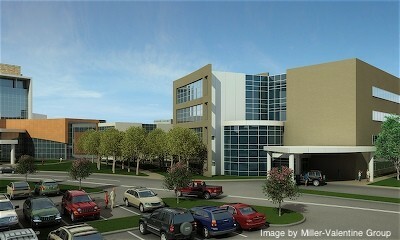 A climate-controlled walkway will connect the medical office building to the hospital. The medical office building will be ready for occupancy in the Fall of 2008.
providers of print and promotional products, announced it will relocate its sales office to an 8,062 square foot facility at 8808 Beckett Road in the Chappell Crossing development (Union Centre district). a national full-service transportation company, announced a 7,788 square foot expansion to its existing facility at 9991 Commerce Park Drive off Crescentville Road. Yellow Transportation has approximately 200 employees. a family-owned dog grooming salon, opened a facility at 8779 Cincinnati-Dayton Road in Olde West Chester (Historic district).